A mechanical titan emerges from a pool of water, piloted by an impetuous youth. With the power of Japanese science, this boy and his robot use lasers, mjssiles, and (of course) rocket punches to defend the Earth from the forces of evil. This simple concept became one of the foundations of anime and manga, helping to spawn the “super robot” genre as we know it, and made Mazinger Z a household title across Japan. The 2018 animated film, Mazinger Z: Infinity is the latest iteration, joining other recent Nagai Go revamps such as Devilman Crybaby and Cutie Honey Universe. As one of the seminal works of an entire genre, Mazinger Z has been re-imagined and reworked time and time again. Whether it’s a mythological alternate world (God Mazinger), an ultra-macho 90s edition (Mazinkaiser), a mid-2000s meta epic (Shin Mazinger), or something else entirely, there’s always a desire to return to the father of super robots. Common to all of these works is a desire for action, tension, and spectacle, so it’s interesting to see how each film navigates the balance between new and nostalgic, as well as where on the Nagai spectrum of “goofy to gory” it falls. Mazinger Z: Infinity takes place ten years after Kabuto Kouji, the hot-blooded hero of the original series, defeated his arch-nemesis, the mad scientist Dr. Hell. Now in his late 20s and a scientist, he researches photon energy (the power source of Mazinger Z) alongside his childhood love interest, Yumi Sayaka, spreading a clean energy source around the world. But when the forces of Dr. Hell reemerge with the goal of retrieving Mazinger Infinity—a mysterious robot/artifact that dwarfs even Mazinger Z in size—the people of Earth and Kabuto Kouji have to decide how to best protect their planet. Key to this conflict is a girl found inside Mazinger Infinity named Lisa. The action scenes are amazing, as expected. The very first thing the audience sees is Great Mazinger in combat, piloted by Tsurugi Tetsuya, using nearly all his signature moves as if to make clear that this film revels in the thrill of combat. Later sequences are similarly impressive, especially in how they focus not on the classic one-on-one battles of the 70s but on large-scale clashes. The rest of the film, i.e. the non-action moments, tend to feel kind of safe and harmless at least in terms of presentation, like what one might typically expect from a Tezuka Production anime (Mazinger Z: Infinity is by Toei Animation). Visually speaking, Devilman Crybaby this is not. If Mazinger Z: Infinity was just about fighting, it probably would have been good enough. The film, however, is surprisingly ambitious. This desire to do more can be seen in both the world-building and the messages conveyed, as blunt and hamfisted as they are in execution. Throughout the movie, there are numerous cases that show, “what if the technology of the Mazinger world has progressed?” Not only is photon energy ubiquitous, but it was even instrumental to helping the world rebuild from disaster—which is probably Dr. Hell-related but also draws parallels to the 3.11 Fukushima triple disaster. Robots of a global peacekeeping force are based off of the Mazinger series, and Kouji’s little brother Shirou is a pilot. Yet while Mazinger Z being powered by a miraculous energy might have once been interpreted as a kinder look at nuclear power, Mazinger Z: Infinity takes a contemporary stance in light of 3.11. At one point, Sayaka expresses that although photon energy is an incredibly clean source of energy, it can still be exploited by humans for less than altruistic purposes. Mazinger is classically described as having the potential to be a “god or demon”—a notion that not so subtly reflects humanity’s relationship with technology. Messages about life and family further reflect a desire to communicate social morals, which is quite different from most of the previous sequels and re-imaginings. While the movie is meant to take place a decade later, that 10-year difference feels massive and more like the 50 years that have passed since Mazinger Z debuted. Yes, Kouji is still in his prime, so his inevitable return to the cockpit can be less of a Rocky Balboa or The Last Jedi Luke Skywalker situation. But for everything else, that decade of time embodies various cultural and historical changes since Mazinger Z debuted, and includes idols, home computers, the internet, and more. Lisa, with her robotic personality, can even be seen as a Nagai version of Ayanami Rei from Neon Genesis Evangelion. On a similar note, Kouji is faced at one point with a very Shinji-esque situation, but approaches it as only the very first super robot pilot would. One aspect of Kouji’s aging I enjoy is the fact that he became a scientist; it’s the future I always wanted for him. His grandfather and father were both scientists who built Mazingers, so I always thought it would only make sense. I just wish he would build his own robot finally, but perhaps him being more of a “peacetime” scientist is important. Before Mazinger Z: Infinity, there were special interviews with the staff, and what’s notable is the utter lack of pretention. When asked what they key point of the film is, the response was “entertainment.” When asked what fans should look out for, the answer was essentially “cool robot fights.” It’s a largely straightforward film that wears all of its messages on its sleeve, speaking to kids and adults alike. A final note about nostalgia: One original character for Mazinger Z: Infinity is the leader of the joint forces that defend against Dr. Hell’s mechanical beasts. That character is voiced by Ishimaru Hiroya—the original voice of Kabuto Kouji. I can still remember my first exposure to pre-Gundam giant robot anime. I had a VHS fansub which at the very end had a number of retro openings on it, a preview of what was to come from that fansub group. That’s where I was first introduced to Zambot 3, which I thought looked pretty cool, and where I first got a glimpse of the 80s’ Aura Battler Dunbine, whose catchy theme song sticks with me even today. At the same time, though, I remember distinctly thinking that Koutetsu Jeeg looked like the dumbest thing ever. 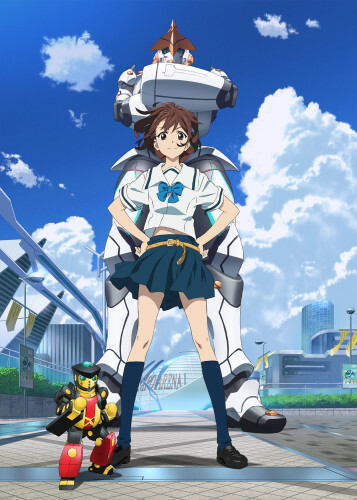 I still think Jeeg is an ugly robot with its pickle legs, but it was more the overall style, fashion, choice of song, everything, that made it seem so foreign to me as an anime fan. I loved robots then as I do now, but obviously I needed some education, and I’m glad that I now know better. I think what really sticks out in my mind in that video was the second Mazinger Z opening, mainly because of the way that Mazinger Z itself was shaded. It didn’t have the standard shine+shade of later giant robot anime, and instead had these large areas of pencil (or something like it) blocked in. When you watch the opening, you can literally see the grit of the drawing materials right there on the limbs and stomach. 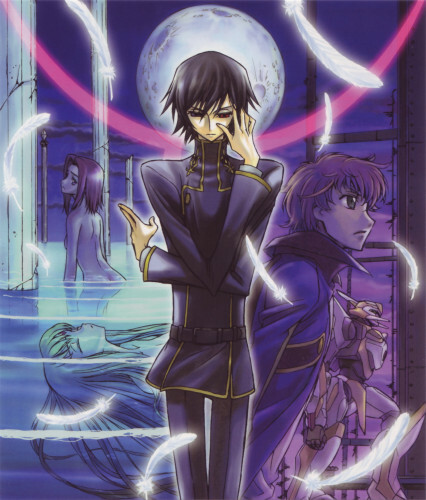 I hated it then, thought it made the show look old and tacky, but looking back, the way it stuck in my mind is part of why I started being able to look well past the aesthetics of 90s anime I had become so accustomed to, and to eventually realize how much the time that we’re in influences the look of everything around us, including the entertainment we watch. On the most recent Speakeasy Podcast, the Reverse Thieves discussed spinoffs/re-imaginings/sequels of series we love, with the caveat that they had to have definite endings, and asked listeners to come up with their own examples. It was actually a difficult question for me at first because what would have been my top two choices, Genshiken and Eureka Seven, are now currently enjoying sequels themselves. Obviously fortunate for me, but still a monkey wrench into the question at hand. 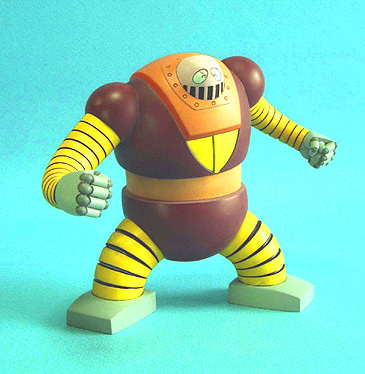 Then I remembered another idea I had some years ago: an anime starring Boss, the bumbling side character from Mazinger Z and his eponymous mecha, the Boss Borot. Sure, we got Shin Mazinger with its more charitable portrayal of Boss wherein he showed some competence and a fair amount of courage, but he was still ultimately on the sidelines. What I would like instead is a show where Boss and his Borot are in the spotlight, and a villain appears that he has to deal with more or less all by himself. The way I picture it, the villain would be this diabolical mastermind who would always envision the mysterious pilot of that “round menace” to be some genius tactician who can read five moves ahead, when in fact Boss probably defeated him accidentally. 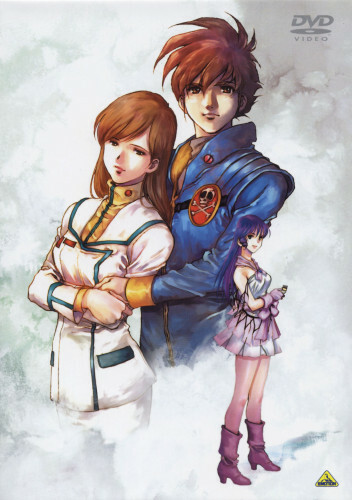 It would be a relationship similar to Inspector Gadget and Dr. Claw, or if we want to just stick to anime examples, Boss would be like Yurika from Nadesico or Captain Tylor (though I’ve never actually seen The Irresponsible Captain Tylor so I’m hesitant to make that comparison only on what I know from listening to others). I’m not really sure if there should be a Penny to provide competent support, though. Maybe his henchmen Nuke and Mucha would be help enough. In any case, I even thought of the main hook for the opening theme.